Careers | Quinn Contracting Ltd.
As a people-first company, Quinn believes in providing a work environment that is positive, respectful and fair in all regards. Work for a company that is invested in your safety and career development and offers competitive compensation packages. Quinn has been serving clients in the oil and gas and petrochemical industries for over 45 years and knows how to get the job done right, on time with no compromise to quality. Work Hard. Work Safe. Work Here. Follow our Step-by-Step – How to Apply with Quinn guide! 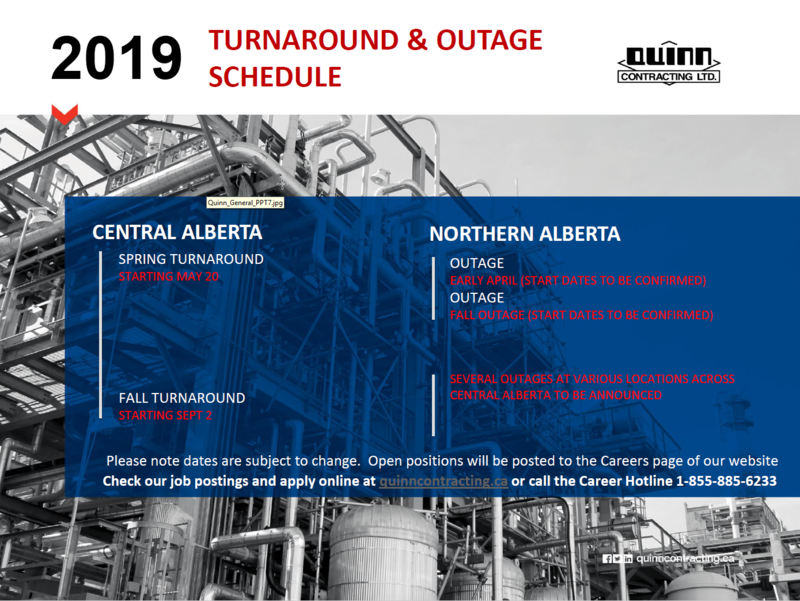 Please note that dates and manpower numbers are subject to change- all open positions will be posted on our Careers page, and applicants can apply directly online.